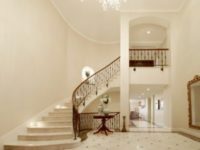 Marble that has become dull and damaged will need professional services to restore its elegant luster and keep it looking its best. At Santa Fe Floor Care we know what it takes to make your marble surfaces look sensational. See what our cleaning, polishing, restoration and protection services can do for your marble. Some granite is quite porous so it must be sealed properly to protect it from staining. Even though it is one of the hardest surfaces on the planet, it may become chipped or cracked. If your granite needs to be restored to its original, like-new state, we have extensive experience in dealing with any granite problem. 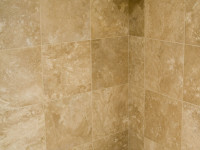 Travertine, in its natural matte finish, is skid resistant and has a classy, antique appeal. 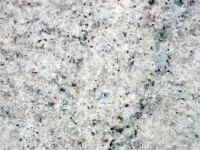 If polished, it has the veined look of marble. 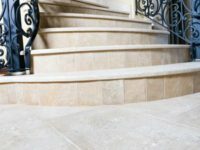 When exposed to acidic substances, heavy traffic, or residual build-up of cleaners, travertine looks unsightly and outdated. We know travertine and skillfully restore it to its timeless beauty. Slate is a waterproof, stain-resistant natural stone preferred for its dark, earthy tones and classy, rustic texture. Slate can scratch or chip more easily than other natural stone. 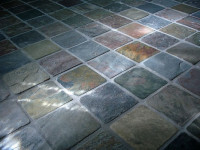 Heavy waxes, floor finishes, soap residue, and aggressive cleaning may cause slate floors to become unattractive. We specialize in restoring the desired finish and color to slate floors.